This looks freaking fantastic right? 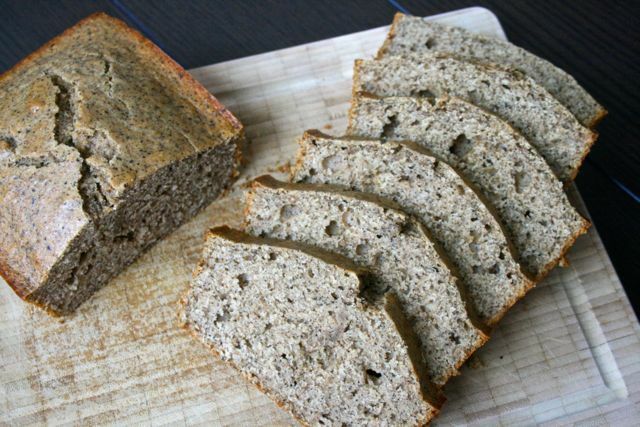 If you’re intrigued by tea in a loaf and want the recipe, head on over to my guest post at The Daily Dish Recipes. I met my friend Nicole through my Sunday Supper community. She’s an amazing writer, chef, baker, mom (to FIVE KIDS!!!!) and is an all around super woman. She needed guest posts because she’s partaking in a crazy cool month-long writing challenge called the National Novel Writing Month (which I’m totally going to do next year to indulge my inner writer). Learn more about NaNoWriMo, the fabulous Nicole, and this tantalizing Earl Grey tea loaf here. Wow, that does look and sound delicious! I just love homemade bread!! Going to check it out! I can’t wait to bake this bread! My son Nathaniel and I love, love earl grey tea. I’m going to surprise him! Yum, thanks for sharing, Elise! I’d love to try this. Let me know if you bake the earl grey loaf and how it turns out. Tea in a baked recipe is intriguing. I will go have a look at it. Good luck to Nicole for her NaNoWriMo. I have participated in a few myself.